I just love garden art. I will often take bowls and turn them into flowers in the garden. 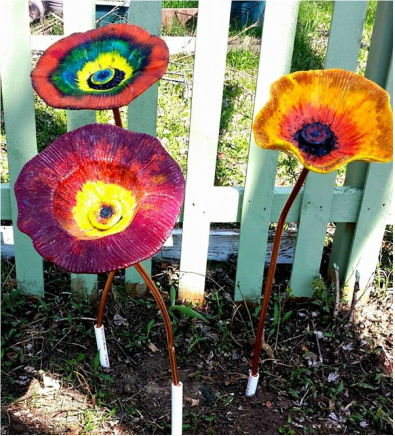 These are fused glass bowls that did not sell so they are now featured flowers in my yard. To do this I must carefully drill proper size hole in the glass using a diamond tip drill bit. I cut pieces of copper tubing and screw in a bolt, then clamp. I then glue on a topper. These remain in my garden for most of the year. 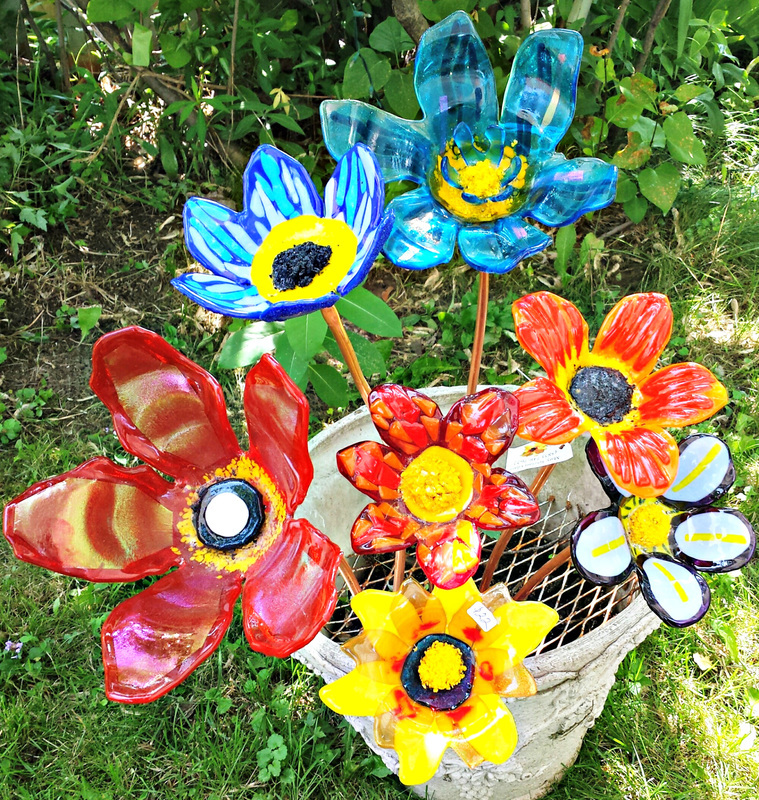 I also love to produce garden stakes and wind chimes using bright colors and fun designs. Glass Flowers for inside or out!